It was another great morning with friends at the Bosque del Apache National Wildlife Refuge photographing Sandhill Cranes and Snow Geese. 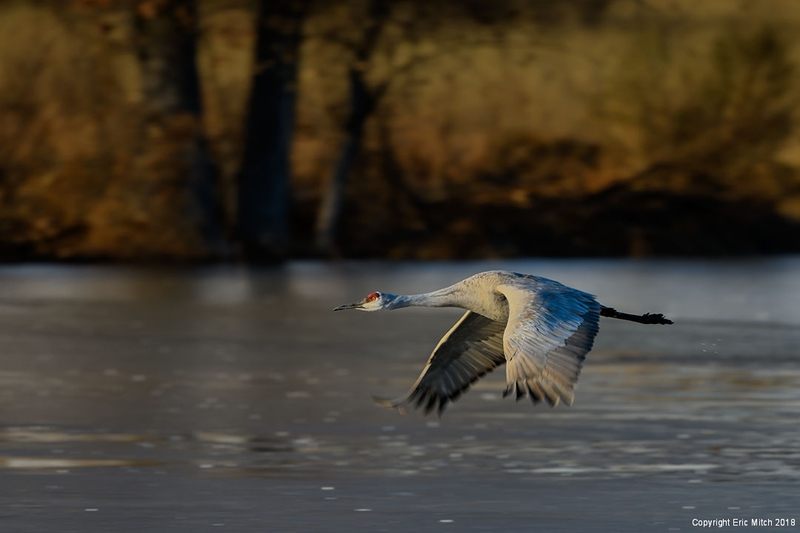 While the weather was not as cold as we normally expect it, we had some spectacular skies and the cranes were in the ponds where we could get the morning light on them. The first inclination is to start shooting immediately when the birds are flying in front of you. Unfortunately when you get back to your computer, you will realize that you will just be deleting photos until you realize when the sun has come over the trees and starts to hit the birds. That just makes it magical. Second, you want the angle of the sun where the light is hitting the bird but is not yet hitting the background. That makes it easier to isolate the bird and cuts down on a distracting background. Lastly, you want flexibility and freedom of movement when dealing with birds zipping past you. In this case, I had my trusty Nikon D5 and 800mm on the tripod next to me but for this image I pulled up my Nikon D850 mounted to the new Nikkor 500mm PF ED VR lens.